TV writing books contain much of the same information as screenwriting books because story is fundamentally the same in all mediums. Film, TV, theater, even advertising, all use the same principles of storytelling. However, the way a given story is structured is slightly different for these different mediums. What makes TV different? To answer this question, here are the best TV writing books. I’ve chosen these based on my unscientific method of adding 1) my opinion, 2) what I’ve heard people I respect say, and 3) copious online feedback from readers. What books are missing from this list? Anything that you love and should be included? Please let me know in the comments so we can check them out. In the genre of TV writing books, Writing The Pilot is a classic. It clearly explains how stories need to be thought of in a different way to suit the medium of television. Writing Television Sitcoms is one of my favorite TV writing books for sitcom writers – I especially recommend Part 1: Writing Premise-Driven Comedy. The ultimate goal of reading TV writing books is not simply to write a great script and get staffed – it’s to become a showrunner. That’s why I recommend The TV Showrunner’s Roadmap. Chapter 6 is a must-read (explaining the power of family dynamics in any TV show), pages 182-184 delineate the structures of 50+ TV series, and there are in-depth interviews with top TV showrunners about their creative process and management style. Of my favorite TV writing books, Writing The TV Drama Series is the one I recommend to people who are writing hourlong dramas and procedurals. Read Chapter 1 about the 5 Myths of Television and the Rules of Series TV. Chapter 2 is a must-read and clearly explains the journey of a TV show from inception to air. Also, look for the great interviews with writers throughout. Essentials of Screenwriting is one of the classic TV writing books that has useful information for all TV writers. Chapter 2, The Personal Screenplay, and Chapter 13, The Writing Habit, are must-reads. Perhaps more than any other of the TV writing books I recommend, Sandler’s book The TV Writer’s Workbook goes deep into how to learn the structure and format of a particular show. Useful especially for sitcom writers. Chapter 3, Chapter 14, and Appendix I are must read, and pages 27-31 and page 92 are useful resources for analyzing and understanding story structure. TV writing books tend to be about writing, but Small Screen, Big Picture focuses on TV. The world of TV, how it works, who the players are, and what’s expected of you. An indispensable book. Chapters 1-17 are all must read and there are valuable resources on pages 152-155 and 234-237. Perhaps my favorite of all of these TV writing books is Crafty TV Writing. It’s universally applicable, accessible, and yet also dives into the fine, granular details when the topic warrants it. Chapters 1-3 are must read as is page 236, How To Run A Writer’s Room. As you may know, I am a fan of Blake Snyder, and Sheldon Bull was one of Blake’s writing partners. TV writing books have different flavors and Elephant Bucks is very enthusiastic and direct. Chapter 3 and Chapter 9 are must read. You’re right, this isn’t a book. But if you are more of a visual learner, I recommend Shonda Rhimes’s MasterClass in Television Writing. Rhimes covers the writing process in detail as well as sharing helpful career and pitching advice. I took the class recently and wrote a detailed review of my experience. 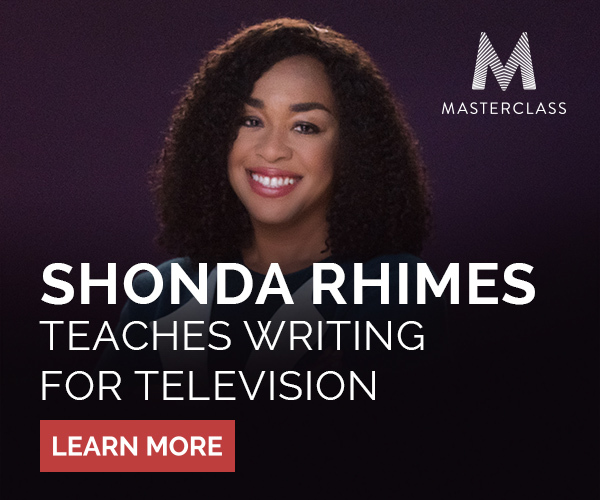 Getting to see Rhimes’s pitch documents, notes and pilot episodes is so valuable for anyone who wants to learn more about television writing. Question for you: What books are missing from this list? Is there a TV writing book that should be included? Let me know in the comments.